As a Business Analyst, you will almost inevitably be asked to write a questionnaire at some time to get insight into what a group of stakeholders think on a topic. A good questionnaire is an efficient way to get information from a group of people when you don’t have the opportunity to interview them all. 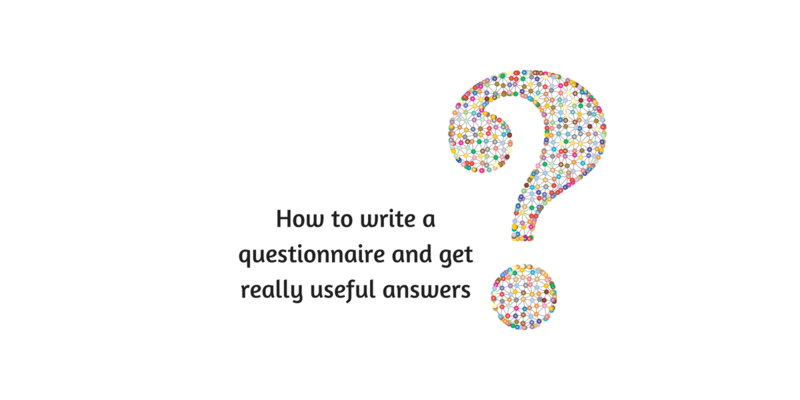 Do you know what usually happens when someone decides to write a questionnaire? They sit down, start typing out interesting sounding questions into a survey tool and send it out to their chosen list of people. A few answers come trickling in. They send out a reminder. A few more answers come in. They decide they have waited long enough and start to analyse the results. And then realise that they can’t do anything with the answers they have received and the whole exercise was a waste of time. How do you avoid this happening to you? What are you trying to work out – do you have a clear vision of that? Write yourself a purpose statement for it. Too often people do this but stop after “strawberry jam” People have all sorts of reasons for being interested in something, but your questions need to focus on getting to the “Why” that matters to you. Let them know, on the front page, roughly how long it will take to complete the questionnaire. Then they know if they can fit it in before the next meeting or if they need to put some time aside for it. You can also overdo it with questionnaires. While the first one is an interesting novelty to the recipients, The second one is a bit of an imposition and a third one looks like laziness. Questionnaires are quite impersonal, so to increase your chances of getting a response let people know why they are being asked to complete it. Why is their opinion so valuable to you? What differentiates it from anyone else (remember – a little flattery never goes amiss)? Let them know what will happen with the information they give you, how it will be used and offer them a copy of the final report. By offering them something they are more likely to give you something. Use checklists where possible (the answers are easier to analyse too). Don’t fill it up with ‘nice to have’ questions – keep it focussed and, well, short! Keep the number of free text boxes to a minimum. People get bored and give up if they have to keep typing. For every question you ask do you know what you will do with the answer? How will it help you decide what to do next? What is your next step? If you don’t know then get rid of it. The answer may be interesting, but if it isn’t useful then it goes. When well used, questionnaires are an exceedingly useful tool. Do put the thinking time in and create clear, insightful questions that give you a window onto what your stakeholders think and want. Good Luck! As if virtual working isn’t challenging enough, many people then get asked to work in virtual Agile teams, a methodology that is based on teams working closely together. So, what can you do to help teams work and deliver effectively on Agile projects? I have worked in Agile projects with team members in the UK, the US, and India, and it is challenging. The main thing is that you’ve got to have the people with the right mindset. They’ve got to have that “can do” attitude and try to make it work. The principle of Agile is working as closely together as a team as you can, and if you’re going to do it virtually you have to have a good set of collaboration tools so that people can work together and share information in the different ways that they need while they’re working. The basic tool for most virtual teams is the telephone. One of the key things to do though is to make sure it’s usable by everybody. 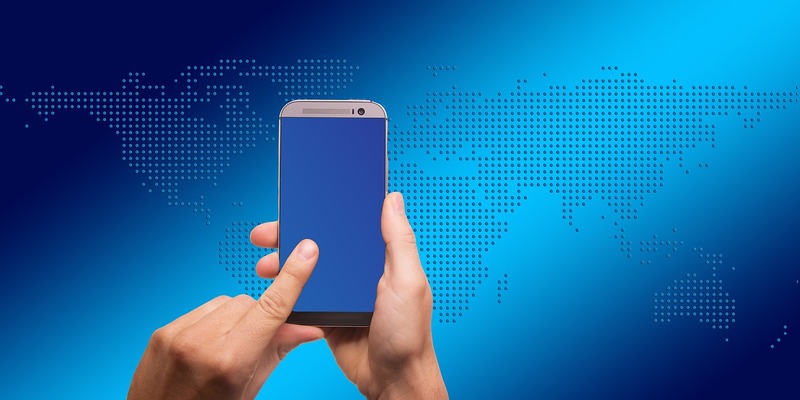 There has been a move to VOIP (voice over internet protocol) phones over recent years. This was initially for cost reasons, but as the technology developed and screen sharing and video capability became available they really started to enhance on-line collaboration. In some locations the call quality can be really poor and in these cases VOIP actually becomes a barrier to communication. So try it, and be willing to change if it doesn’t work for everyone. It may cost to have paid landline service, but if you think of the time people waste trying to connect to meetings, it can be worth it. People in virtual teams need to be confident they can pick up the phone and chat, that interactivity really matters. The next thing to look at is specialist collaboration tools. Your first port of call is something that will help you screen share if you haven’t got that as part of your teleconferencing tool. Then how will you share documents and share your calendars so you know who’s available when? Larger organisations frequently supply tools for their team, but for smaller groups the google tools can be very effective. I have used Google Hangouts, Google Drive and Google Calendar with great success in teams. Then, of course, there’s your Agile board tracking. Whether you’re doing Kanban or Scrum, it’s where you manage your user stories. Teams commonly start out with a simple tool such as Trello or Pivotal Tracker. At some point they may decide they want more functionality and move to tools such as Target Process. Large organisations will favour enterprise tools such as VersionOne (my personal favourite) but tools like this are designed to support the enterprise rather than single teams, are expensive and need a team to support them. Which ever tool you choose, make sure everybody knows how to use it, and can access it. There are some really useful collaboration tools out there if you have a scout around. I’ve used Realtime board for planning – it uses virtual sticky notes that you all work on together and I’ve found it really handy when planning with a distributed team. For getting feedback on prototypes and designs there are tools like inVision and RedPen that allow people to comment directly on the design and really reduce the misunderstandings you can get when you can’t both point at something at the same time. on it. Don’t just use what you’ve got. Explore. See what you can do to help with the things that your team is working on. 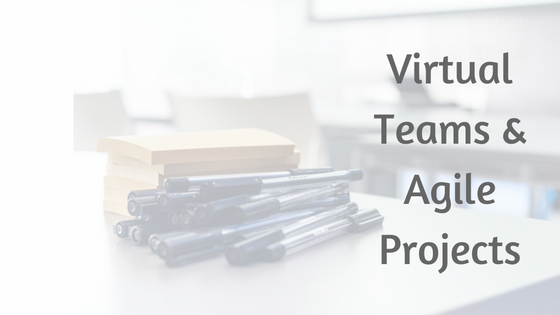 Don’t forget your team building exercises when you’re working in an Agile virtual team. It’s all too easy to just sit down around a phone and start talking. Work out how you can get to know each other as you must all be real people to each other. Make sure that you get your ceremonies, like daily stand-ups, scheduled in so that everyone feels included. You may have to find those times of the day when calendars overlap, and sometimes if you’ve got a very widely dispersed team you may not actually be able to do that every day for everybody. However, do it frequently and make sure everybody is talking to as many people as possible. Making sure everyone is heard, and listened to. Often if it’s an international call, then a number of people may be working in their second language. It will take them time to process their thoughts and translate them, and they need to be given the space to do that. Silence can feel odd on a phone call but is vital to ensuring that you get everyone’s valuable contributions. You can also do ‘polling’ where you go around everybody in the group at various intervals during the session. The added advantage of that is people are more likely to pay attention because they know that you will be asking for their input several times. Continuous learning and improvement is a key tenet of Agile working. Make sure that you include the effectiveness of your communication in your retrospectives. When you have blockers, look for solutions. There are many on-line tools around that help with collaboration, both free and paid, try some of them out. Thre is no ‘right’ way of working, just the way that works for you and your team. When you are working in virtual teams one of your greatest needs is a way to communicate with each other. So, do you just use the software available on your desktop or phone, or do you need to look for something else? 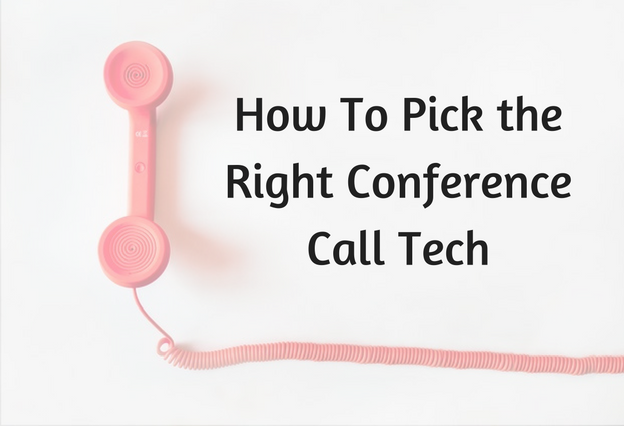 How do you choose the best conference technology for you? The questions below will help you clarify what you need. Think what is really important to your team? Is it hearing each other? Is it seeing each other? Do you need the ability to collaborate on a whiteboard? Do you need instant messaging? What about working on documents? Do you need to communicate with each other in real time or asynchronously? Take some time to work out the problem you are trying to solve before you start looking for solutions. Are you willing to spend anything, or does the solution have to be free? There are plenty of free conference solutions around but you will have to compromise somewhere. To get either the robust service or features that you need you may have to pay. Remember, teleconferences replace face-to-face meetings so you are already saving on travel costs. Do you know the technical problems you need to solve? How many people need to be online at one time? Does everyone need to contribute? Do you want to do broadcasts where one person talks and everyone else listens? Is it just for internal use within your company, or will you need to use it with suppliers or clients? Don’t assume that suppliers or clients will have the software you choose. There ARE still people out there who don’t use skype, and have no intention of installing it. You need to make sure there are freephone numbers available. Will people be at their desks or on mobile? Does your choice of solution work in both environments? Do any of your team have a visual or hearing impairment? Will the solution you choose enhance, or get in the way of, these people’s work? Poor connection is a major cause of conference frustration, so what broadband speed is there in the different locations? If everyone works in the centre of a major city then VOIP is a good solution. If not, you may find some people need a landline number to be able to hear what is going on. Once you know the answers to these questions you are better able to narrow down the choices. How are you going to make everyone feel part of the conversation? People will need training in all but the most rudimentary of solutions. People get very bored when no-one can work out how to share their screen. Making sure everyone gets a chance to speak is the role of the person who is running or facilitating the meeting. They need to ask questions like “We haven’t heard from you for a while”, “Is there anything you’d like to contribute?” or “Can I ask what your thoughts are on this?” from people who are not saying much. How will you learn as you go? What does good look like? How will you know if your tool of choice is good enough for you? Once you start using the tool you may find that you need to work in ways that you had never anticipated. Don’t just work around your issues, go and have another look and see if you can find a solution that meets your needs. It will save you both time and energy in the long run. I recently noticed a colleague of mine has started using a simple technique to deal with interruptions. She is a very busy project manager with lots of calls on her time and many people wanting to ask her questions. It is her role to help people progress their work, but if she doesn’t manage her own time carefully she will get swamped. People frequently come up to her and say “have you got a few minutes” or start quizzing her about details of a project. 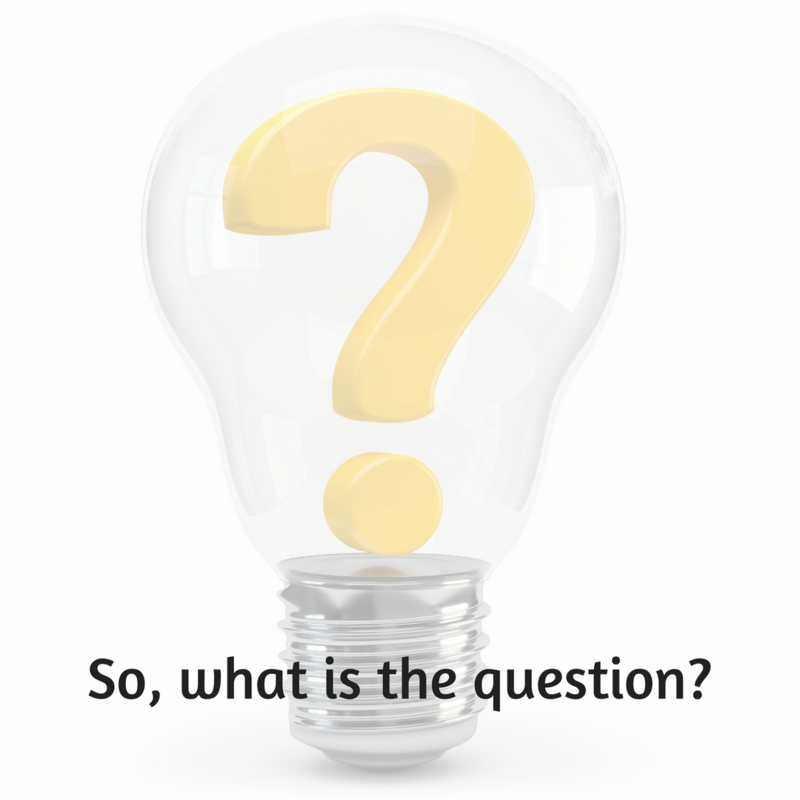 If, after a couple of exchanges, she can’t resolve the issue she invariably comes out with “So, what’s the question?” I have frequently observed that simple question is a very effective way of making people stop and think. Too many times we know need information from someone but we don’t think through what it is we actually want to know. When she bounces that question back at people they then really stop and focus on what is important to them. Often a request for a half hour meeting can be resolved by a single question that she can answer immediately. This saves hours of wasted time for everyone. I’ve seen this technique be both powerful and very effective in dealing with interruptions. Give it a try and let me know if it works for you. This is a challenging problem and has to be kept at the front of your mind when you start planning how you’re going to run meetings and work with your team. Do this correctly and you will prevent problems like the one Sarah described in my previous post. One ‘Gotcha’ that frequently catches people out is other country’s public holidays. Make it your business to find out all the major holidays in the countries where your people are based. Also, don’t expect them to know when yours are either. A common example I come across is American Thanksgiving. It’s the major holiday in the USA, but in the UK few people have a clue when it is. You only make the mistake of trying to arrange a major meeting that clashes with Thanksgiving once….. I always find the best practice with scheduling is to discuss it openly with the rest of the team. Ask them what they need, what they want, and if you can’t get everyone in their working hours, work out how you’re going to take it in turns to be the one who is inconvenienced. When you are in the middle time zone of a group, for example being in the UK with team members in the USA and India, it can be very easy to be the one that never works early morning or late nights. Make sure that you share the flexibility around. You do not need to meet at the same time each week just because your calendar arranges that for you. Build yourself a different schedule if that works for your team. I always find it really useful to prioritize my own calendar to support the team. Mornings are for interacting with India, Europe is prioritised in the middle of the day, and the US during late afternoon. If someone from Europe asks me for a call at 3:00 in the afternoon then I try to move it earlier as I know I need that time to talk to other people. As for any team, meeting success starts with clear agendas, good planning, removing blockers and making it easy to contribute. There is no simple solution when you’re working across time zones that wide. You just have to be flexible and considerate of other people. How do you get the best out of your virtual team? Your best approach is always to try and deal with the issue as soon as you spot it. Letting things fester, in the hope it will get better, can make you angry and resentful. That has never yet been the best basis for a working relationship. The first thing to do is to set up a one-to-one chat with your colleague. Talk to them on their own and find out why they set up the meetings at the time they do. It could be that they are unaware of the problems it causes you. They may think as you turn up to meetings than the time must be OK, otherwise you would decline. Do they actually understand that you’re in another country? As ridiculous as it sounds, I once worked on a project where I had frequent requests for late night meetings. I’d turn up, and at one point I mentioned I was in the UK and discovered that they didn’t know. They thought I was an English person working abroad and therefore in their time zone. The penny hadn’t dropped with them that I was actually in England. After that, they moved the meetings to be earlier in their day to make it easier for me. It might be something that simple. So you’ve had a chat and people still ‘forget’ you are in a different time zone. You will need to be more assertive if you want it resolved. Step back a little and take the time to decide, for yourself, the hours you are and aren’t willing to work. Identify where your opportunities for flexibility are, and what times are impossible for you. Share this with the person who is responsible for setting up the meeting and ask that they change the times of the meetings. Where your meetings are team meetings, make this a team discussion as you may not be the only person struggling with scheduling. Get the topic on the group’s agenda and agree how are you going to work together as a team. My final point is that a meeting request is just that, a request. Any Time Management expert will tell you that it is up to you to take control of your calendar – don’t leave it to other people. Once you have decided what hours you will be available to your colleagues, decline any meetings that fall outside that. Suggest a different time to talk. Bat it back and forth until you find a slot that works for you both.You are not duty bound to go to a meeting purely because you aren’t already in one. Most people naturally want to be accommodating and helpful and don’t like to generate conflict over what may be seen as a minor issue. However, the best working relationships are built on mutual respect and consideration. Nipping a problem like this in the bud will set you in good stead for the future when you and your colleagues may have truly difficult problems to solve. 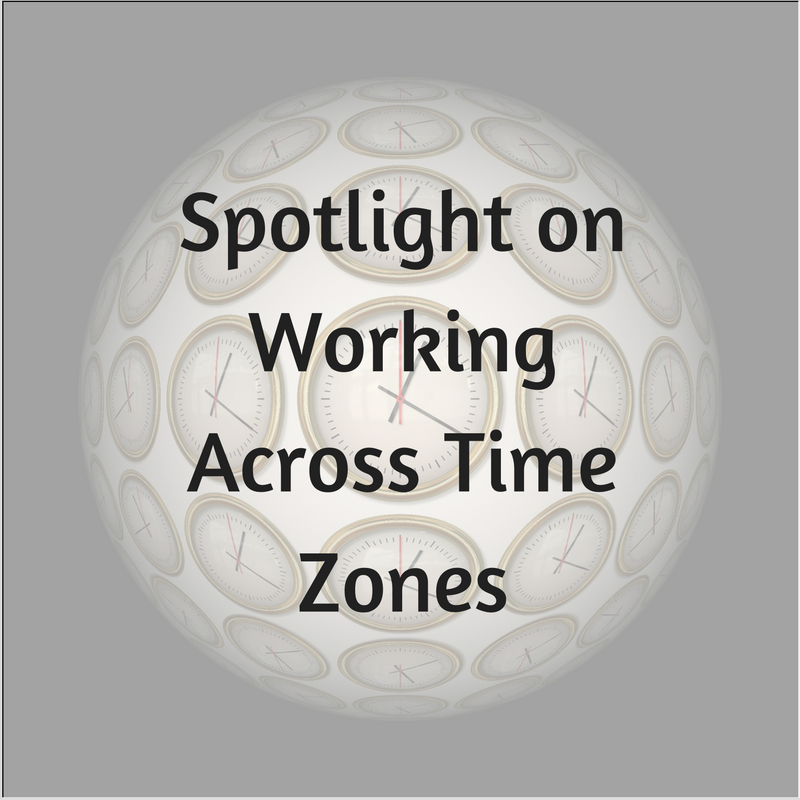 How long have I been working in virtual teams….? The penny dropped recently that I have been working in virtual teams for nearly 15 years. Like many other people I started working virtually because of a major change in the company where I worked. It merged with another one. Suddenly people, formerly in different companies in different countries, had to agree how to work together. The only way it could be done was over the phone. When I first started doing teleconferences there were rules of thumb that said things like “Don’t have more than 3 people in a teleconference”. That idea that would be laughable now. Even then we had 17 people in 8 different locations on the calls. We all learned as we went along and made it work. In many companies these days virtual working is the norm rather than the exception and we must build relationships quickly with people we may never meet in the flesh. These people may not be in our country, our timezone or even in our organisation. This often raises cultural issues that we must deal with, such as getting input from people contributing in a second language or having a different ethos. We must also do this without any of the body language clues that we rely on in everyday life. Penny Pullan published a book earlier this year on Virtual Leadership, a book which would have made the world of difference to me when I started. Penny interviewed me for a case study for her book and also for her online summit on virtual working. The questions I was asked during the summit form the basis of upcoming posts.